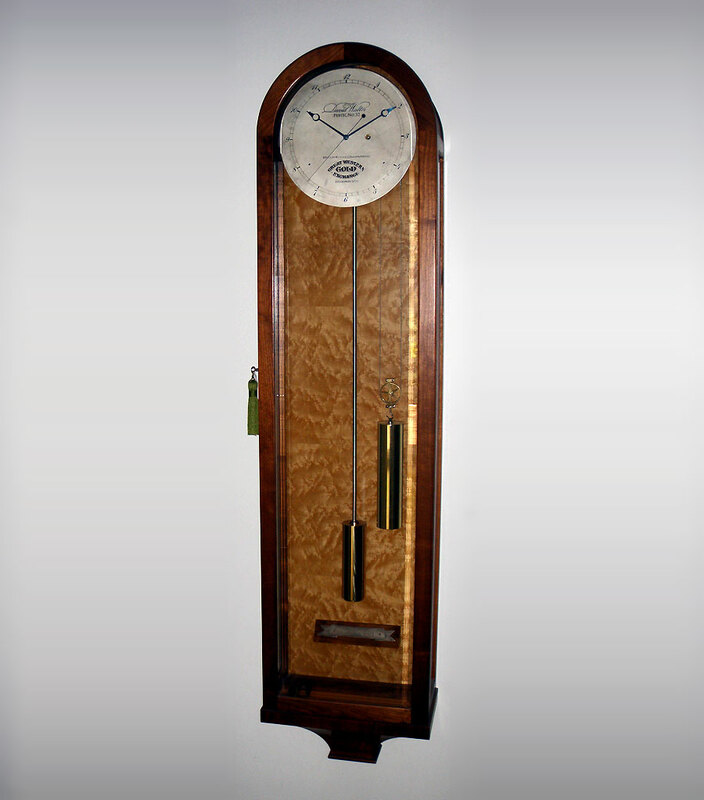 This is a very rare month-going wall regulator clock by David Walters from Perth, Australia. 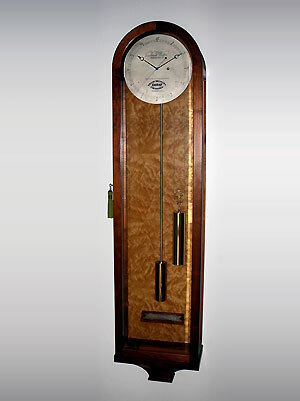 The clock was commissioned in 1979 and is #32 for the Great Western Gold Exchange. The massive movement has deadbeat escapement and sweep centre seconds. 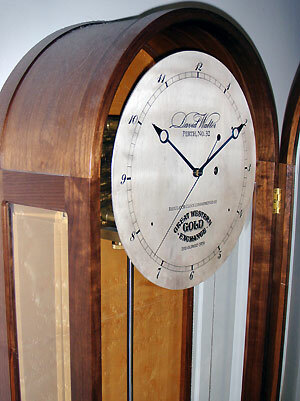 The clock has a silvered 12 inch dial with moon hands, a cylindrical pendulum, a brass weight and beat-plaque. 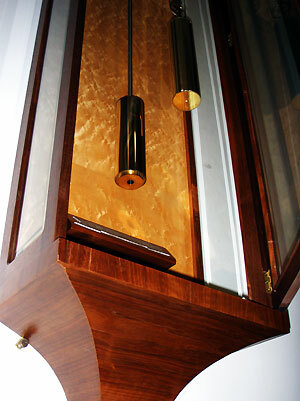 The round top case has bevelled glass and Australian timbers including birdseye maple and walnut.